You are currently browsing the tag archive for the ‘Guy Salvidge’ tag. 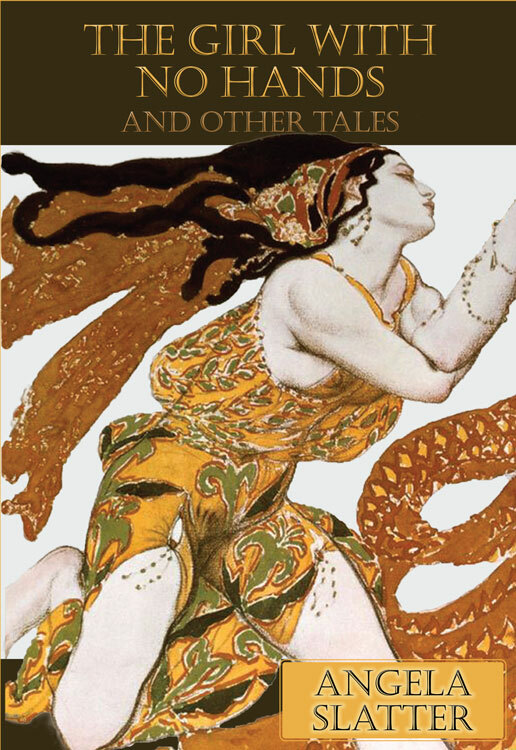 Angela Slatter has written and published a great deal of stories in the “reloaded fairytale” genre in recent years, many of which are collected in this volume from Ticonderoga and also in Sourdough from Tartarus Press. The Girl With No Hands and Other Tales won the Aurealis Award in 2010 for Best Collection, and it’s not hard to see why. Slatter reworks a host of traditional fairytales, many of which will be familiar to all but some which are more obscure, putting a fresh, feminist slant on these already macabre offerings. 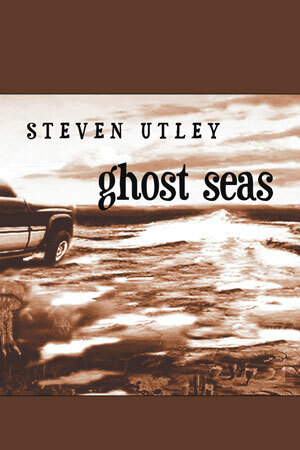 This edition of Ghost Seas is a 2009 reprint of the original 1997 collection by US writer Steven Utley. Utley is a member of a talented crowd of Texans who made names for themselves in the ’70s. Other members of the Turkey City Writer’s Workshop include Lisa Tuttle, Bruce Sterling and Howard Waldrop, the latter of whom is an amazing (and amazingly oddball) writer himself. There are some similarities between Waldrop and Utley in terms of their writing, and they’ve collaborated on at least one major story, “Custer’s Last Jump,” as well as the delightfully whimsical “Willow Beeman” in this collection. Utley’s solo stories are impressive in their construction, but even more so in terms of the range of subjects and genres employed. This writer’s reluctance to produce novels, or to stick to one genre, is part of the reason he remains an “Internationally Unknown Author”, as the Afterword helps to explain. Lewis Shiner is known to me as one of the early cyberpunk authors, but his collection Love In Vain isn’t cyberpunk. It’s not even science fiction for the most part. It is, however, very good. Published by Ticonderoga in 2009, this collection of nearly two dozen stories showcases Shiner’s abilities at lengths ranging from flash fiction to novelette. Personally I found his longer works more interesting, not least the newer, previously uncollected “Perfidia”. In “Perfidia”, Frank Delacorte, a collector with a penchant for eBay auctions, stumbles on a highly irregular recording of a Glenn Miller song. In his attempt to unravel the mystery, Frank travels to Paris to trace the recording back to its original owner. Meanwhile, Frank’s father, who had been one of the American soldiers that liberated the Dachau concentration camp at the end of World War II, lies dying in a US hospital. Shiner’s depiction of Paris circa 2000 is particularly atmospheric, and the story of Miller’s last tape is original and engaging. My only complaint is that the story ended long before I would like it to, which I guess is a compliment to Shiner’s technique, given that “Perfidia” is around 50 pages in length. Perth writer Simon Haynes has been writing Hal Spacejock novels for years, but this is his first venture into Young Adult territory. 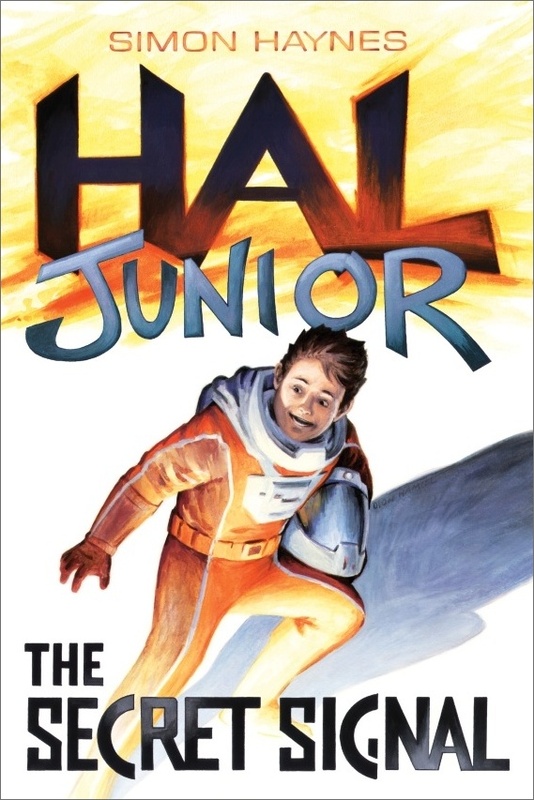 Hal Junior: The Secret Signal is a spin-off from the other Spacejock series, featuring an intrepid young adventurer by the name of Hal Junior. The nature of the relationship between Hal Junior and the Hal Spacejock of the earlier novels isn’t specified, but enough hints are dropped that the reader should be able to figure out who Captain Spacejock really is. 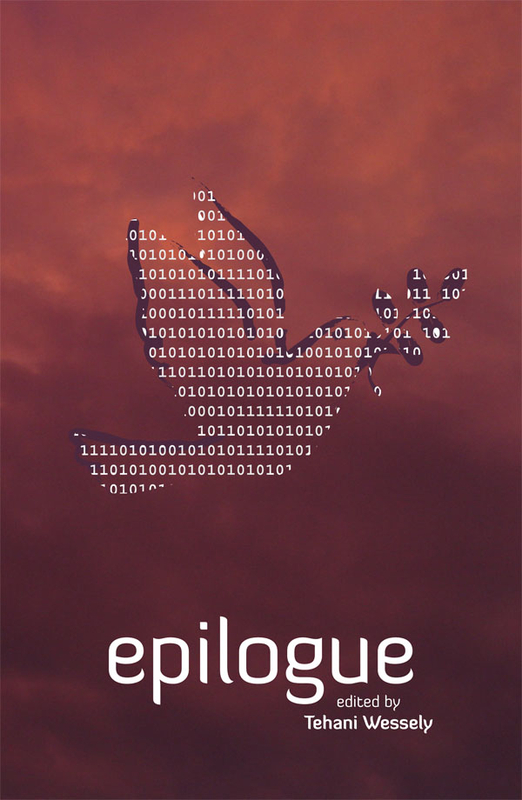 The Secret Signal is intended for readers in the 9-12 age group, although it reads fine as an adult piece too. The book is a brisk read and I can recommend it wholeheartedly to younger readers. We open with Hal Junior piloting the spaceship Phantom X1, only the spaceship is really a paper plane. He does live on a space station though, in an unspecified future time where tigers are extinct and paper is a historical oddity. Hal Junior is supposed to be doing an assignment for his robotic teacher, but he ends up in trouble straight away when he almost loses his work (the plane) down the recycling hatch. After some amusing buffoonery, Hal and his friend Stinky retrieve the plane by reversing the space station’s gravity. This is the first in a series of largely self-inflicted trials that Hal Junior undertakes in The Secret Signal, and it’s all good fun. 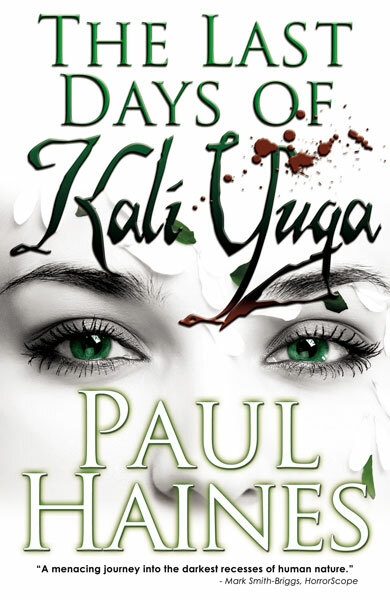 Paul Haines’ third collection of stories, The Last Days of Kali Yuga, was recently launched at Swancon Thirty Six in Perth. I had the pleasure of attending the launch and hearing Haines read from his story “The Past is a Bridge Best Left Burned”. Having recently read the author’s earlier collection, Slice of Life, I was eager to get my hands on this latest collection from Perth-based Brimstome Press, and it didn’t disappoint. The Last Days of Kali Yuga firmly establishes Haines as one of Australia’s best horror writers (yes, I know he’s from New Zealand originally). Haines warned me when he signed my copy of this book that the material was dark and perhaps disturbing in nature. I guess it says as much about me as it does of him, but I didn’t find anything particularly objectionable in these pages, although it’s true that some stories were very provocative. The writer Haines reminds me of most is M. John Harrison, whose work is similarly sardonic and sometimes vicious. A number of recurrent themes run through many of Haines’ stories, including but not limited to: the pressures and angst of urban living; sexual frustration and jealousy; and the cycle of seemingly inevitable violence. 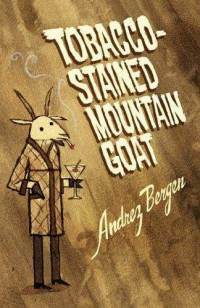 The author pulls few, if any, punches in his depiction of the more sordid side of life, and he keeps us close to the edge as readers. William S. Burroughs once said that ‘writing should have the immediacy and danger of bullfighting’; Paul Haines is certainly a writer whose work fits that bill. 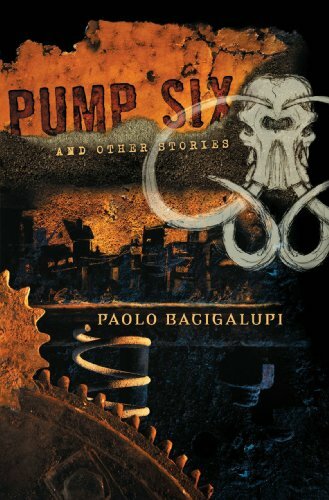 Paolo Bacigalupi’s debut novel The Windup Girl has won just about everything a science fiction novel can win, including the Hugo, the Nebula, and the John W. Campbell Award. This is a book, then, that came insanely hyped by the time of the recent Orbit edition. Does it live up to that hype? In a word, yes. This is epic science fiction that reminded this reader of John Brunner’s Stand on Zanzibar. I’m not sure if I’m quite prepared to declare it one of the best science fiction works of all time, but it’d easily be in my top ten science fiction novels of the first decade of the twenty-first century. Believe the hype. 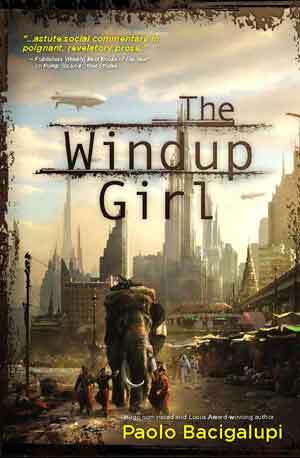 The Windup Girl features a near(ish) future crippled by its energy needs. The world’s oil is gone, and with it mains electricity and international aeroplane travel. So it’s back to dirigibles, rickshaws and the sweat of one’s brow. There are even genetically engineered creatures called megodonts which are harnessed for their strength. Global warming also appears to have wrought havoc on ecosystems worldwide, not to mention the problem of rising sea levels which is keenly felt in Bangkok, where the action takes place. And then there’s the generippers and man-made plagues. This isn’t a future you’d want to live in. Above/Below is the latest novella double from Perth-based Twelfth Planet Press, which has rapidly become one of Australia’s most important small presses dedicated to the publication of speculative fiction. In the tradition of the Ace Doubles and, later, the Tor Doubles, Twelfth Planet has helped to resurrect the oft-neglected art of novella writing. In an era of epic trilogies and ever increasing book lengths, the renaissance of shorter work is a welcome development indeed. 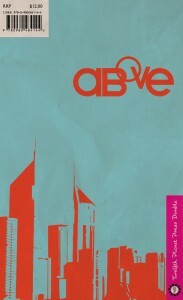 Above and Below, written by Stephanie Campisi and Ben Peek respectively, form halves of a greater whole. Just to be contrary, I read Below first, and I’m writing this part of my review before reading Above. In Below, we are introduced to the world of Dirt, a grotty, industrial zone that is home to those unfortunate souls tasked with mining the Shafts that fuel the cities of Loft in the sky above. This situation recalls that in H. G. Wells’ The Time Machine, in which the wretched Morlocks mine the earth’s bowels for the benefit of the delicate Eloi. 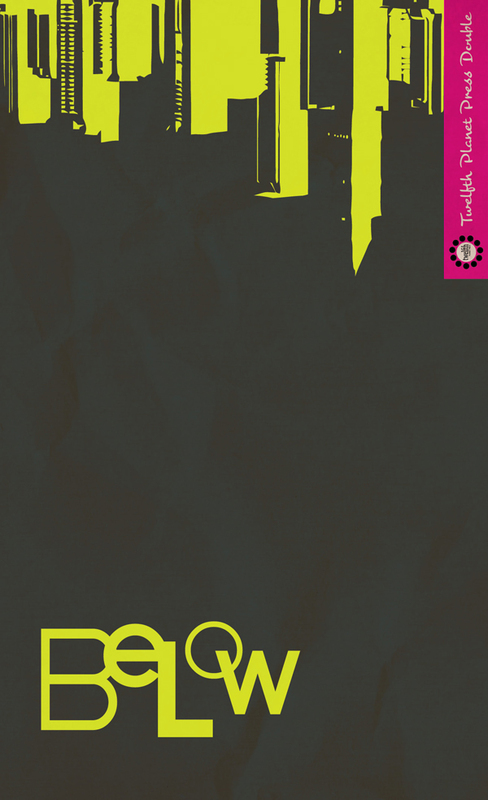 The action in Below mostly takes place in Dirt’s capital city, Naelur. Our protagonist, Eli Kurran, has recently lost his wife to the cancers that beleaguer every Dirt resident, and he is a broken man with only one thing left to live for: his daughter Lilia. Like every other resident of Dirt over the age of twelve, Eli’s body is covered with purifers that siphon out the toxins present in Dirt’s atmosphere, allowing him the opportunity to live (if he is lucky) to the grand old age of forty-eight or so.